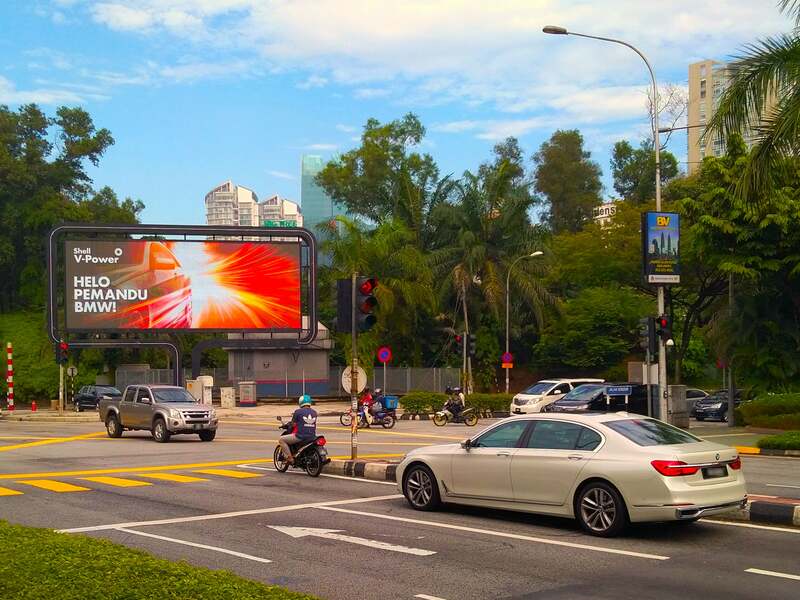 Shell Malaysia is no stranger to innovation and technology, as they became the first in the industry to take a leap of faith and give their premium fuel a platform to communicate through a digital billboard. The digital billboard that features Shell V-Power can identify car brands and customise messages that urge them to try the premium fuel for power and performance. Shell Malaysia, with the help of MediaCom Malaysia and Moving Walls, brought Shell V-Power to life through a dynamic billboard which identifies drivers and urges them to give the premium fuel a try. The partnership took an innovative approach to communicate about the brand’s premium fuel, Shell V-Power, while engaging drivers in a way that piques their curiosity. “We often find ways to engage personally with consumers, this new technology enables us to engage in an interactive and fun manner. Through this digital billboard, we gave Shell V-Power a voice to reach out to the different drivers and to personalise the messages according to the car brands. We hope the drivers will enjoy the little surprise during their drive, and hopefully they now have a reason to find out more about Shell V-Power,” added Ai Kee. Maaz Khan, Business Director from MediaCom Malaysia also shared the organisation’s view on media: “Application of technology in advertising is always fascinating, especially when integrated on a medium historically considered offline i.e. Out-Of-Home (OOH). With this execution for Shell, we used Machine Learning to deliver customised advertisements to motorists based on their car brand in real-time. By doing so, we utilised the precision and personalisation of digital mediums, while having the scale offered by OOH”. Malaysians can catch the Shell V-Power digital billboard during the peak hours from 8AM to 10AM as well as 5PM to 7PM by Bangsar Shopping Centre, located on Jalan Maarof from now until 30 November 2018.